October is always a difficult month in law school because it's right when your readings start picking up the pace and also when you realize that a month has already flown by and finals feel right around the corner. This is the time when I was starting to struggle as a 1L so if you're in that boat then know that you're absolutely not alone. In fact, even the person who seems to be like they'll be in the top 10% of your class is probably internally struggling just like you. Everyone in law school struggles because it's made to challenge you and better you. As much as I love law school and always tell people that it's not too bad, it does have some pitfalls.But don't be too discouraged! I mean, how many of y'all were like me and pulling an all-nighter in college and day-dreaming (4 am is still the daytime right?) about meeting a really rich guy and getting your Mrs. degree so that you can stop with all these group projects. But yet here I am with a Bachelor's degree. Point is, there's nothing in life that will always be easy-peasy lemon-squeezy. 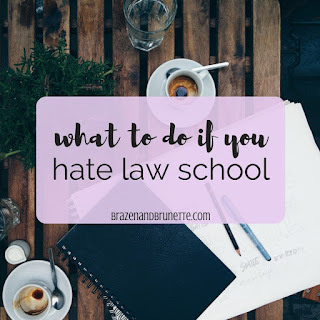 First things first, you need to think hard about whether you fundamentally hate law school or if you're just overwhelmed. Law school is a big adjustment because usually you're in a new city at a new school and your daily effort requirement just tripled. That plus you have no clue how you're doing in your classes so you start to stress that you're not doing enough. 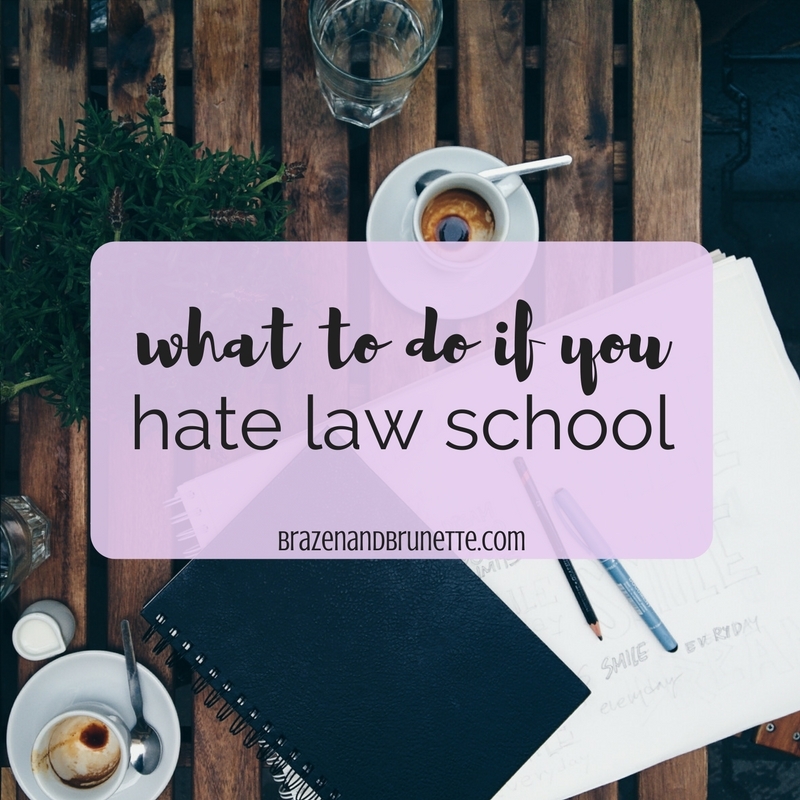 The rest of this post is more for those who feel overwhelmed, but if any of y'all truly absolutely hate law school I have some good news. When I was on my phone interview about my externship, one of the interviewers mentioned that I had included my blog on my resume. I told her how much I love law school and how I blog to try to help out other law students or potential law students. She praised me for loving law school and confessed that she hated it but then said that being a lawyer is nothing like being in law school! She told how glad she was that she stuck it out because even though she was not a fan of being a law student, she absolutely loves being a lawyer. Looking back on my 1L year, most of my problems would have resolved themselves if I had done one thing— go talk to my professors as soon as I was having a problem. Literally sooo much weight was lifted off my shoulders when I confessed to my LRW professor that I had missed an assignment. If I would've talked to him as soon as I realized that I had fucked up instead of agonizing for weeks over my mistake, then I would've known right then how to solve my problem instead of going off the edge. And if I would've made an appointment with my property professor to go over a few of my midterm answers that I couldn't understand why they were wrong, I could've had a mini-tutoring time and learned where I was messing up so that I could still have confidence in that class. I know that most of you won't have missed an assignment or failed a midterm yet, but you get the point. It's really, really easy to avoid your problems and it's really, really scary to face them, but I promise you that it's so much better to just get it over with already! If you're struggling in a class, take the time to schedule tutoring with your professor or an upper-classman. Just narrow it down to a few parts that you really don't understand because they can't exactly re-explain a month's worth of class to you. 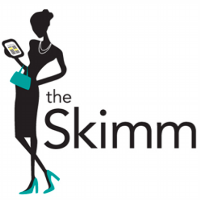 Sure we all snap how much reading we have to do and whine about it, but it's time to be honest about your struggles. I know it can be embarrassing to admit that you're not doing as well as you wanted to, but holding this in will just put more pressure on yourself to seem perfect and the secret will get harder to keep. If someone is nosy or ever doubted you wouldn't make it through law school (ugh aren't extended family and old classmates the best!) then yeah they deserve to just get "fine" when they ask you how you're doing. But your parents, siblings, and close friends are your allies! Just tell them that you need to rant and let it all out, tears included if needed. Undumping on your classmates can be tricky. In one way, you don't know them that well and technically you are their competition so they might not always be the most supportive in this situation. But it's such a relief when you tell your classmate that you honestly don't understand the difference between to similar concepts and she either is like omg me too I thought I was the only one and just dumb! or completely understands it and will take the time to break it down and explain to you how she understands. If you're feeling overwhelmed, I'm sure a big part of it is because in your head all you can think about is how much reading, briefing, reviewing, and outlining that you have to get done. I know it can seem like a lot so instead of having one never-ending to-do list, break it down and get in a routine. If you review your notes and outline little by little, then you only have to dedicate a few hours a week. This will help clear out your head because you know that you've already got some done and know that you've set aside time to get it done so now that's one less thing you have to worry about. Break down your to-do lists for what needs to get done today, this week, this month, and next month. Then keep coming back to this list and check off what's done and re-organize. It really helps me go from "oh I need to get this memo done before the end of the semester" to "okay researching cases this week, organizing my arguments next week, working on argument #1 the next week" because then I feel like I'm more in control of my life. One reason why a lot of people end up hating law school is because they hate who they become in law school. Of course you don't have the time to skip class and Netflix all day when you're just not in the mood, but you will have time to something other than just class and read. Think about what you used to love doing in college and try to do a modified version of that. For example, I used to have so much fun bouncing around frat houses going to the different themed parties. I can't do that now, but I can still meet up with some of my close friends to have some drinks and enjoy ourselves. And I used to read all the time and now even though I only have time for about 10-20 pages a night, I still am able to work my way through a book that doesn't have cases in it. This is also why I've become a fan of studying really hard from 9-4 and then taking time off. Most likely if you're feeling overwhelmed it's because you're also starting to feel burned out. I know it's scary because your to-do list feels overwhelming, but if you don't take some me-time then you are going to lose it. That's not a threat, that's a promise. Shut your brain off from the law every now and then and you'll be amazed at how much more you learn when you come back to it. This is probably the most important tip I have! When you're feeling discouraged, think back on the stars that were in your eyes when you were explaining your future plans to your college professors when you asked for a rec letter, how excited you felt when you got your first acceptance letter and thought omfg I'm going to law school! I'm going to be a lawyer!, and how proud you were when you told your parents and besties and all of Facebook! Don't forget how hard you worked to get here. How grateful you were to be accepted. How long this has been your dream. Don't forget how much you truly want this! Zoom out and don't think about the little hard topics and view it big picture— you are currently living out your dream that you worked really hard for! Don't disappoint little 19 year old you that put in the extra effort studying for finals because you knew you needed good grades to get into law school or little 20 year old you who skipped pool parties all summer because you knew you needed to get that LSAT score. You've worked so incredibly hard to get here for so many years so don't disappoint yourself. My favorite (albeit slightly cliché) quote for y'all: When the going gets tough, the tough gets going. So go be tough and conquer the mid-semester slump! I really needed to hear this today. Thanks, Nikki! Of course Paloma!! Keep your chin up because it definitely gets better! By any chance can you give me the Professor's name who hated law school? (If that is not do-able I totally understand!) My husband is in law school and hates it-and desperately wants to speak to someone who hated it and now loves it! Maybe he could email her and get some feedback. Hey Aubrey! So it actually was my externship boss (not prof) who hated law school but unfortunately she just went out on maternity leave my last week in the office so I can't get ahold of her rn. But I'll try to find someone else your hubs can talk through this with! !